At Physicians Options, we’re working for our medical and chiropractic physicians, nurse practitioners, and physician assistants. Physician Option, Inc. is a staffing and placement firm with the clinical and operational ability and experience to properly screen and assess each of our candidates so they are able to meet your clinic’s and patient’s needs. To make the best match possible, Physician Option staffing professionals perform a complete assessment and forecast for your practice to evaluate not only your current needs, but what your practice will require six to twelve months from now. We work with healthcare attorneys and industry experts so that we stay abreast of current changes in the market. Through determining the clinical and economic climate of your practice, we will provide you with a physician or other health care professional and will assist you in using that physician and their specialty in the most clinically efficient and profitable way. 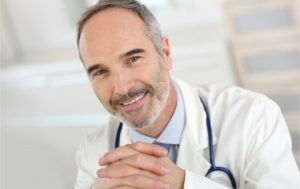 The mission of Physician Option Consultants, Inc. is to make a difference in the lives of our clinicians by helping them to provide the best patient care, improve their personal and professional lives, and enhance our community one doctor at a time. At Physicians Options, we’re working for our medical and chiropractic physicians, nurse practitioners, and physician assistants. 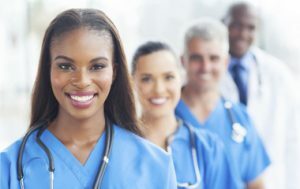 Physicians Options, Inc. is a nationwide staffing and placement firm with the clinical and operational ability and experience to properly screen and assess each of our candidates so they are able to meet your clinic’s and patient’s needs. To make the best match possible, Physician Option staffing professionals perform a complete assessment and forecast for your practice to evaluate not only your current needs, but what your practice will require six to twelve months from now. Through determining the clinical and economic climate of your practice, we will provide you with a physician or other health care professional and will assist you in using that physician and their specialty in the most clinically efficient and profitable way. 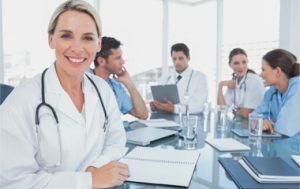 Are you thinking of taking your single specialty office to a multi-disciplinary practice, but don’t know where to start? Physician Option will provide you with the resources you need to succeed. Our clients deserve excellence. Physicians Options provides rapid results, as well as flexible and unrivaled prices. As a full service staffing and placement firm, we take pride in providing personalized services, quick response and solutions to your “Just in Time” requirements, and our consultants are always available to help you close your deal. In addition to Permanent Placement, we accommodate Pro Ret Na (PRN) and Permanent Part Time Staffing (PPS). This is perfect for a clinic because it provides part time continuous staffing. If your organization seeks a particular physician at a continuous time/day of the week, we have you covered. Remember: You need a vacation too! Just because you or a staff member needs a day off doesn’t mean your practice needs to lose income. Plan ahead and give us to call to fill our open positions for a day, week, or more! To learn more about nationwide placement and staffing services.